I always dreamed of visiting the French Riviera and mostly, Monte Carlo to tour the infamous Grand Casino! The luxurious cars parked out front with attendants by their side was a grand beginning to the tour of the Casino. 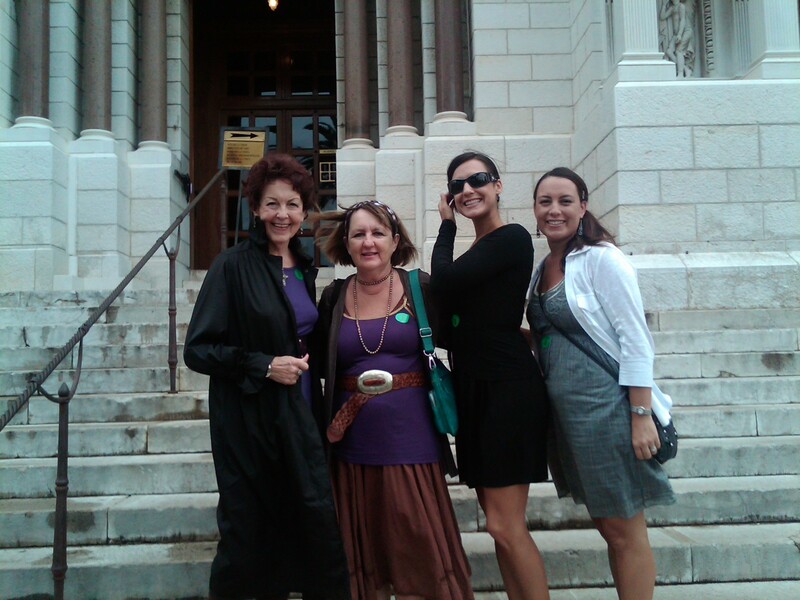 We had purchased a ticket in advance for the tour and unfortunately cameras are not allowed inside. The only way to enter the Casino is if you are a guest staying at the hotel or if you are on a tour, otherwise you will not be able to enter. For that reason, I highly recommend that you purchase a ticket to tour the hotel. The tour consists of walking through the lobby and grand casino area. The guide tells the history of the hotel, famous people who frequent the hotel, the history of the chandeliers and what types of events have taken place in the casino. While on the tour, you will have free time to place a bet, but I must warn you that the minimum bet is very, very high. It was exciting to walk around and observe the guests sitting up to the lavish tables gambling. You can sit out in front of the hotel and watch the people coming and going in their high fashion clothing and large hats. We happened to be there during the Monte Carlo Yacht Show in 2012. 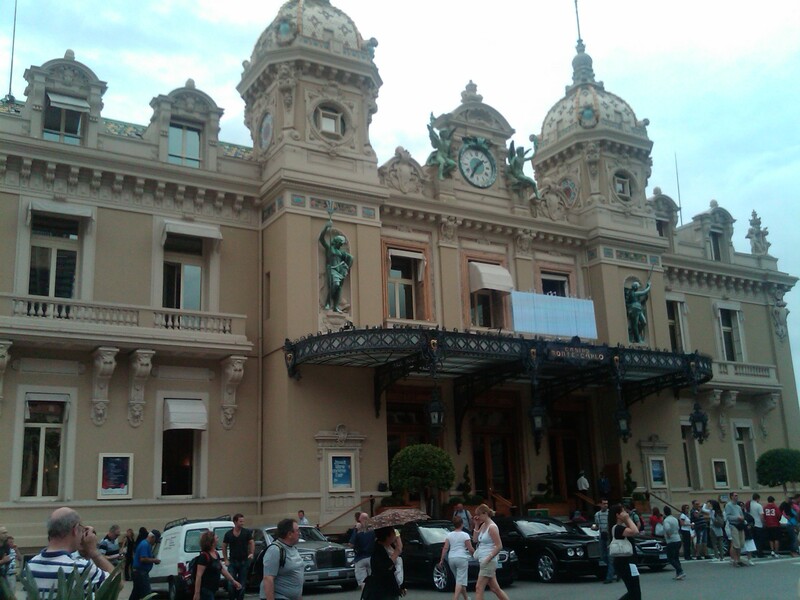 The Casino Monte Carlo looks as fabulous in person as it does in the many movies filmed there. 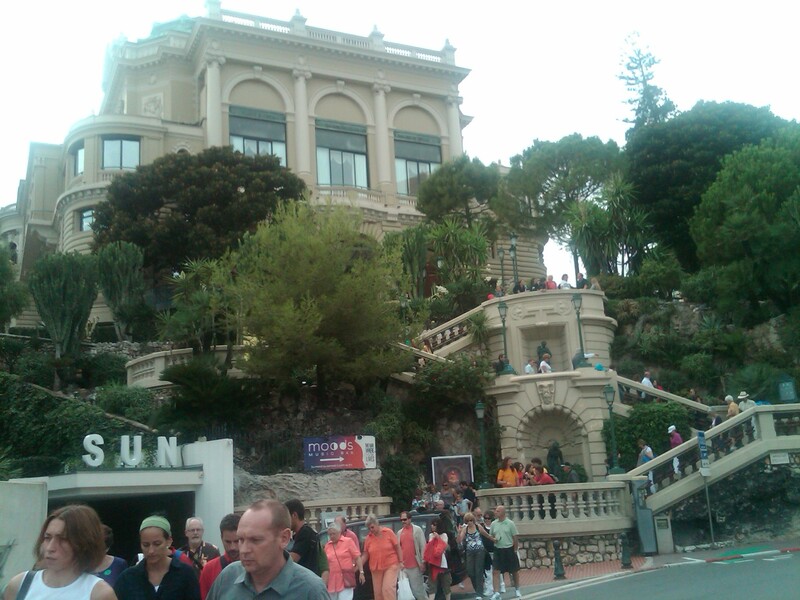 Monte Carlo and its casino were the locations for a number of James Bond movies, including Never Say Never Again and GoldenEye, as well as for the “Casino Royale” episode of the CBS’ Climax! television show. This is not a place to take kids as you must be at least 18 years of age to enter the Grand Casino. I learned that citizens are not permitted to gamble at the Grand Casino. 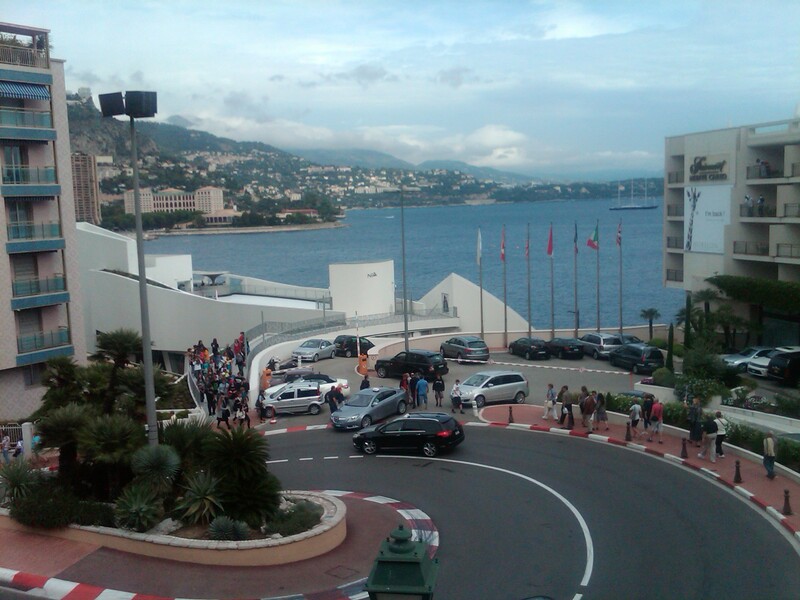 The circuit de Monaco is used on one weekend in the month of May of each year to host the Formula One Monaco Grand Prix. You can walk along the street of Monte Carlo and find all kinds of shopping. It is a really fun, cute place to roam around. Surprisingly small, only 3,000 people live in Monte Carlo. The legend Monte-Carlo® was born in 1863, on the Plateau des Spelugues in Monaco and was so named in 1866, in honor of Prince Charles III of Monaco. With its glamorous ocean-side Mediterranean location, the site is the perfect setting for a premium casino. Its beautiful olive groves and lemon tree orchards combine with the deep blue sea to provide a sumptuous natural backdrop. The first casino was built in 1863 and like most premium things in life, it grew slowly and steadily. Casino de Monte-Carlo® is inextricably entwined with the history of high-class European gaming entertainment. It is the acknowledged home of the most classic casino games, and of the most elegant and luxurious of all European casinos. This is also where French roulette was first introduced in the 18th century. Casino de Monte-Carlo® has become the most revered name in casino mythology. The rooms have been immortalized in films and popular cultural legend. The mere mention of a Monte-Carlo® instantly conjures up iconic, tension-filled showdowns over the baccarat, roulette or poker tables. The suave, audacious style of James Bond in ‘Casino Royale’ is forever associated with its Monte-Carlo® setting. Casinos in Monaco are also the rendezvous places for exclusive events during the Monaco F1 Grand Prix weekend, which celebrities flock to. Film stars, music superstars, designers and fashionistas, international socialites, and the biggest sports stars in the world list Casino de Monte-Carlo® as favorites on their social calendars. Monaco enjoys a privileged location at the heart of Mediterranean Europe. The Principality is nestled between the Alps and the Mediterranean Sea, bounded by the French Riviera to the west and the Italian Riviera to the east. 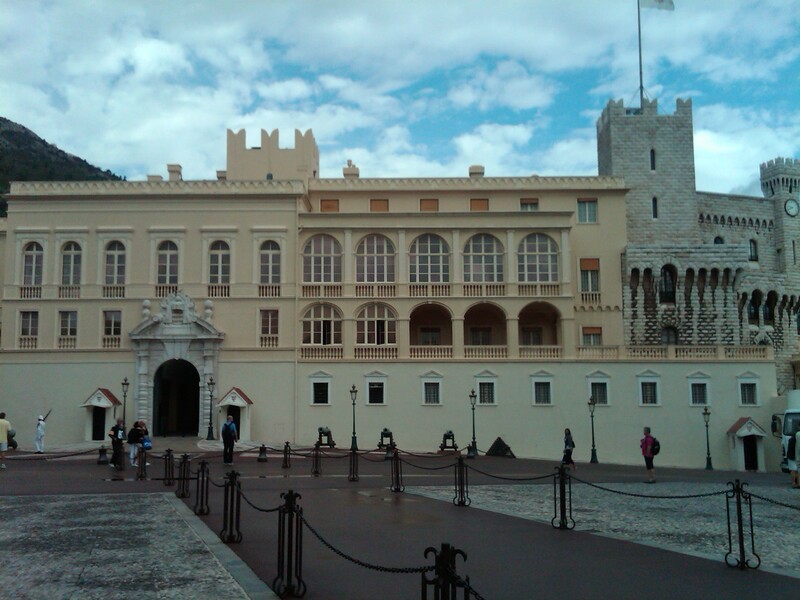 The palace of Monaco began as a fortress when in 1191 the German Emperor Henry IV ceded the harbor and the rocky promontory to the Republic of Genoa on the condition that they build fortifications to combat piracy. Additional property was acquired from the Council of Peille and the monks at the Abbaye de Saint Pons and construction actually only began in June 1215 when Fulco de Castello, one of Genoa’s most enterprising consuls, anchored his fleet of ships loaded with building supplies in the harbor. By then they were ready to trace the outlines of a rampart of thirty-seven sections and four buttressed towers connected with 8-meter to form a triangular boundary. Later a higher wall was erected and a second fortress was added on the port side entrance, none of which remains today. Today, from June to October, the Palace is open to visitors. There they can see the royal courtyard paved with 3,000,000 white and colored pebbles formed into beautiful geometrical patterns. On exhibit are the 16th-century Genovese frescoes depicting scenes from mythological. The columns and the spectacular double-revolution staircase inspired by a staircase at Fontainebleau are done in Carrara marble. Just down the street from the palace sits Monaco Cathedral, also known as Our Lady of the Immaculate Conception Cathedral and St. Nicholas Cathedral.We took a tour of the Saint Nicholas Catherdral where Grace Kelly is buried. The Cathedral is open from 8:30 a.m. to 7 p.m. Monday through Sunday and they do allow photography inside. 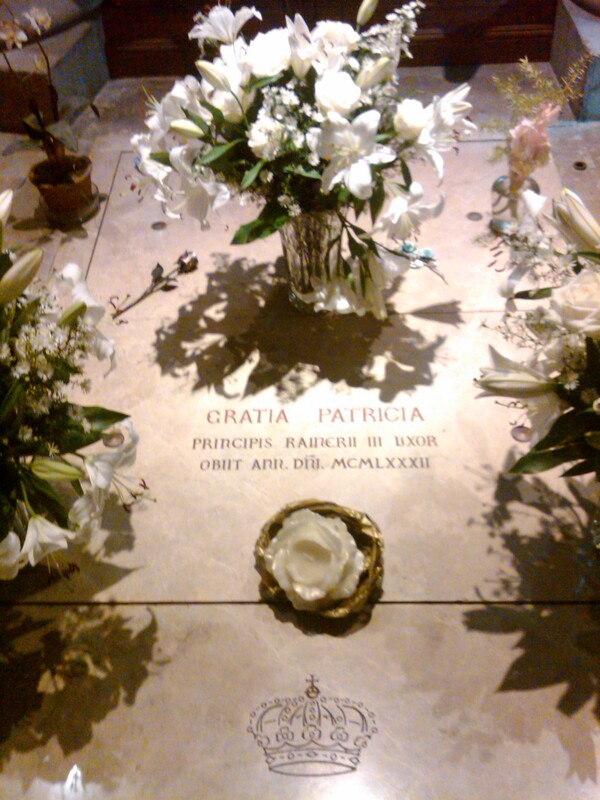 The Saint Nicholas Cathedral, Monaco Cathedral (French: Cathédrale de Monaco), is the cathedral of the Roman Catholic Archdiocese of Monaco in Monaco-Ville, Monaco, where many of the Grimaldis were buried, including Grace Kelly and more recently, Rainier III. The cathedral was consecrated in 1875, and is on the site of the first parish church in Monaco built in 1252 and dedicated to St. Nicholas. Of note are the retable (circa 1500) to the right of the transept, the Great Altar and the Episcopal throne in white Carrara marble.Pontifical services take place on the major religious festivals such as the Feast of Sainte Dévote (27 January) and the National holiday (19 November). On feast days and during religious music concerts, one can hear the magnificent four-keyboard organ, inaugurated in 1976.From September through June, “Les Petits Chanteurs de Monaco” and the singers of the Cathedral Choir School sing during mass every Sunday at 10:00am. Mass is also celebrated here each year on 6 December, when primary children gather for a joyful remembrance of St. Nicholas’ life. $$ saving tips: It is not necessary to have a tour guide to view Saint Nicholas Cathedral, as there are plaques throughout, detailing historical events around the Catherdral. It is free of charge and open to the public. When visiting the Casino Monte Carlo it is a good idea to eat prior to entering the Casino plaza area. The plaza has shops and restaurants but they are all very pricy. 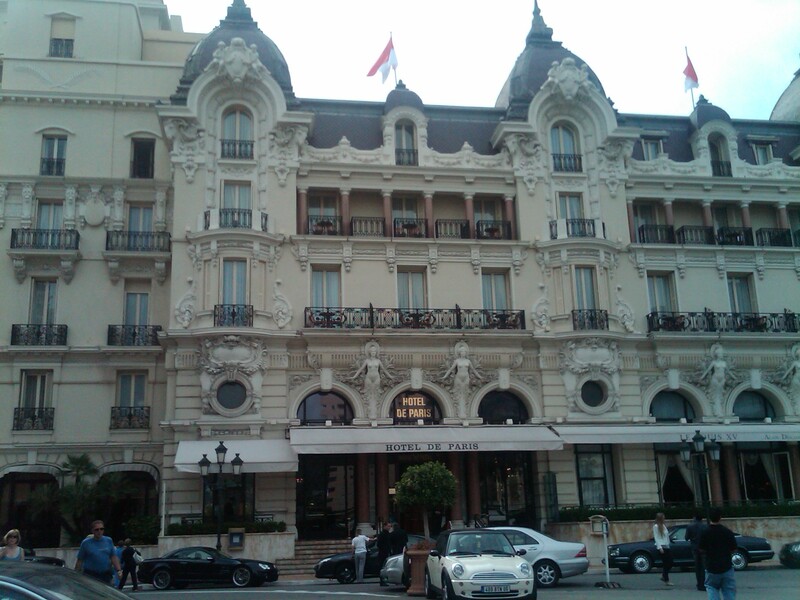 It is the perfect place to grab a coffee or a glitzy, key chain as a remembrance of the Grand Casino Monte Carlo. The further you walk away from the Grand Casino, the better chance of possibly catching a sale sign. The off season for Monte Carlo is December- February and that is when you can get the best rate on a room at the Hotel de Paris. 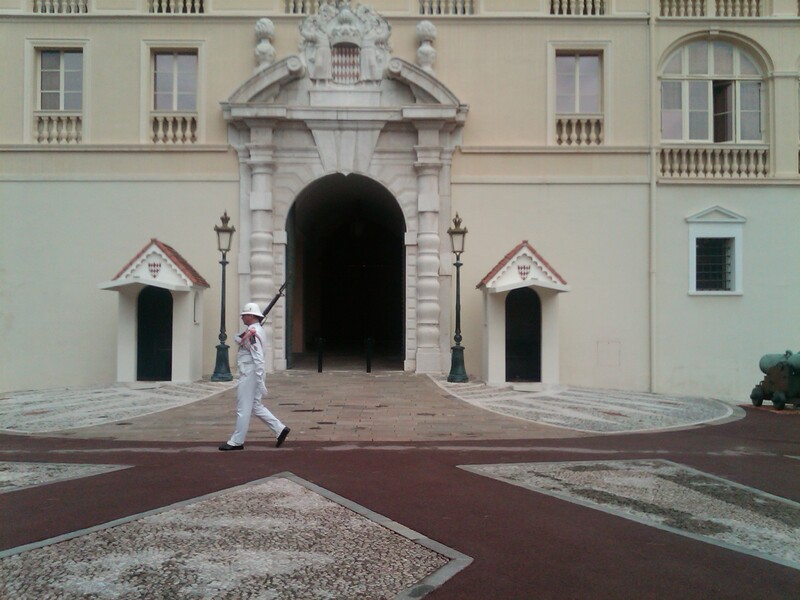 There are shops in Monaco outside of the Palace which are fairly reasonable to pick up hats, clothing and other gifts.